Bagna Cauda was served at Morimoto's in New York and at first I was skeptical and disappointed when this dish was brought out. Are you serious? Really, what is the big deal? Fresh vegetable served with a little blob of brown paste at the bottom of a ceramic container, covered in a deep layer of olive oil, and warmed by a candle underneath. What is this? We are paying big money for this meal and this is what we got? This is not good! Okay, but I should trust Morimoto, he is after all a great Iron chef so let's give it a try. 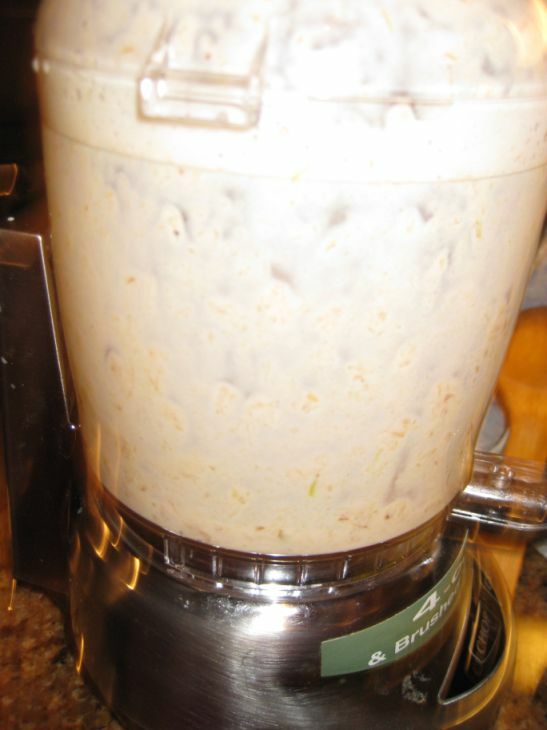 I dipped my vegetable in the sauce and gave it taste, "ooh, aah", this is great, and as simple as that, I was hooked! It was nothing like I expected and it was a very nice surprise. 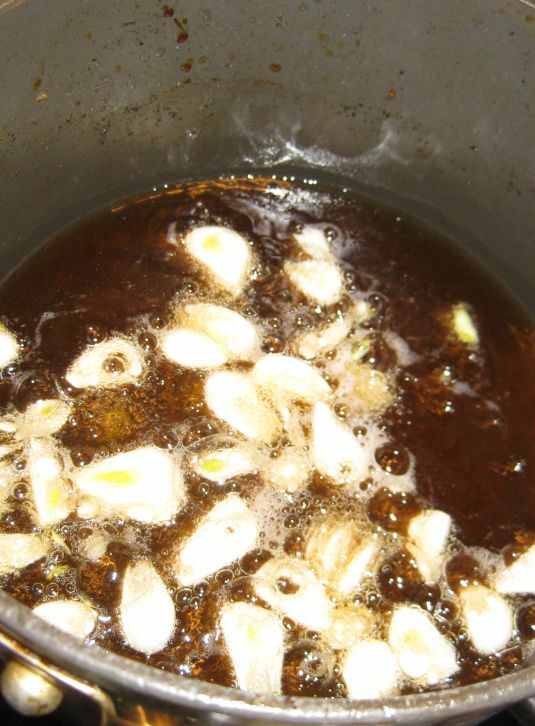 The bagna Cauda (meaning hot bath in Italian) which is served in a manner similar to fondue, is made with garlic, anchovies, olive oil, butter is simply delicious. 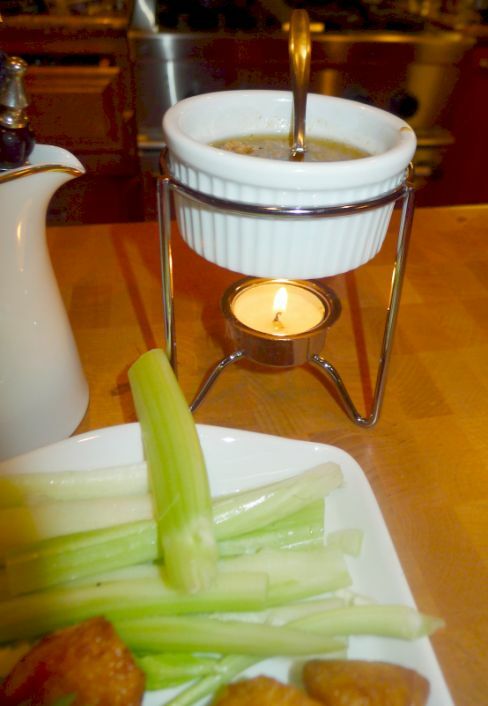 The bagna Cauda is set up over a candle flame to keep it warm at all time . With the picks provided, you dip the vegetables into the sauce and coat the vegetables with the sauce. YUMMY! The veggies were light, fresh, and crisp while the sauce provided some weight and wonderful flavor. 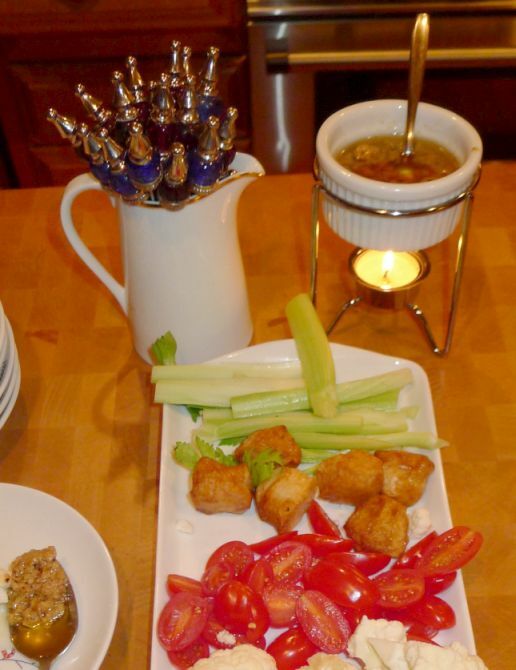 I don't think you can taste the anchovies but they leave a lingering and special flavor to the Bagna Cauda. 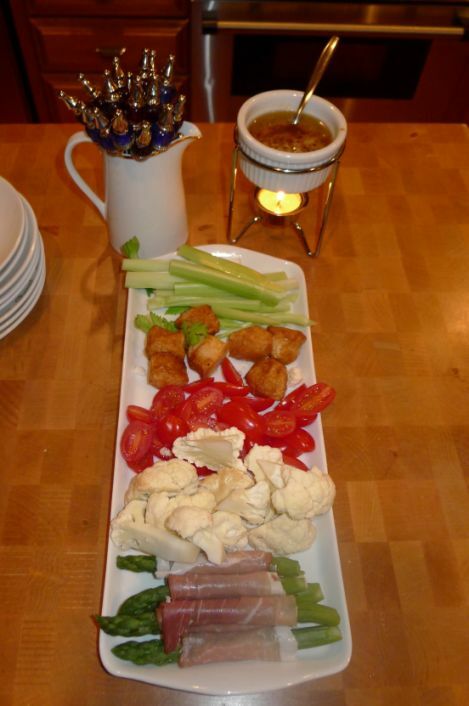 The Bagna Cauda is very addictive with the fresh and crispy vegetable. I kept eating and eating but it feels so healthy that I did not mind. 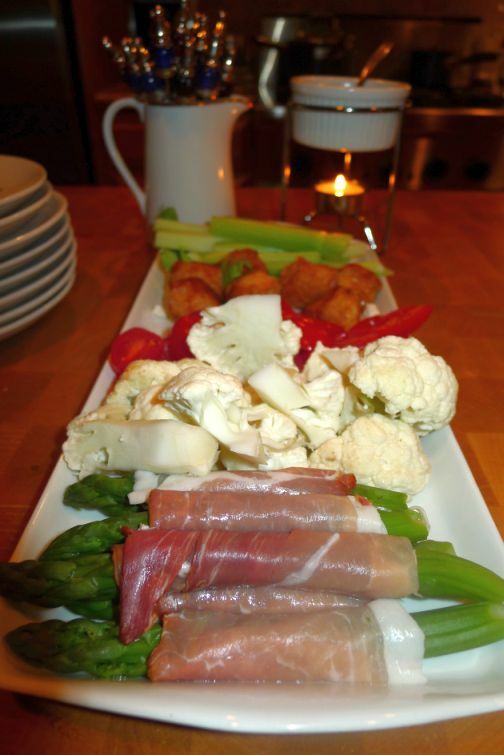 celery, tomatoes, carrots, cauliflowers, asparagus, radishes, etc.. 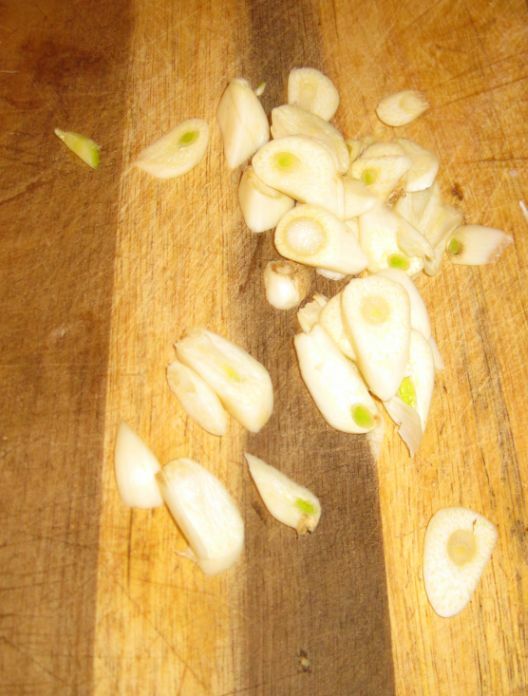 Slices the garlic into slices. 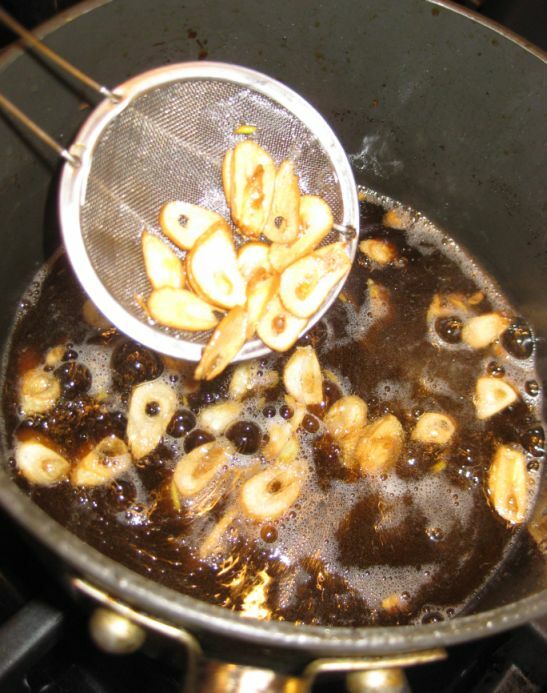 Fried the garlic until golden brown. ..and put them into a small pot. 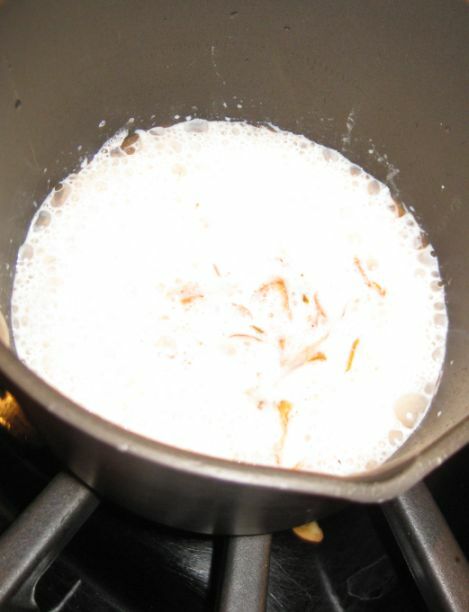 Pour some milk and bring it to a boil. 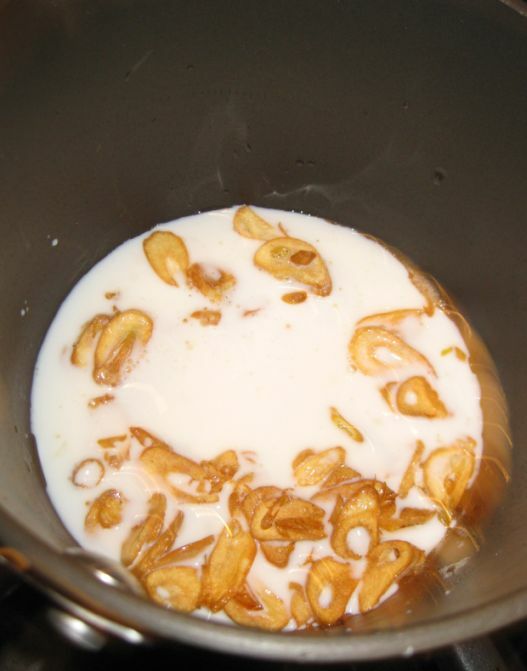 turn the heat to medium and let it boil for 3 to 5 minutes or until the garlic is very tender..
Pour the mixture into a food processor. Puree the garlic until smooth and set aside. 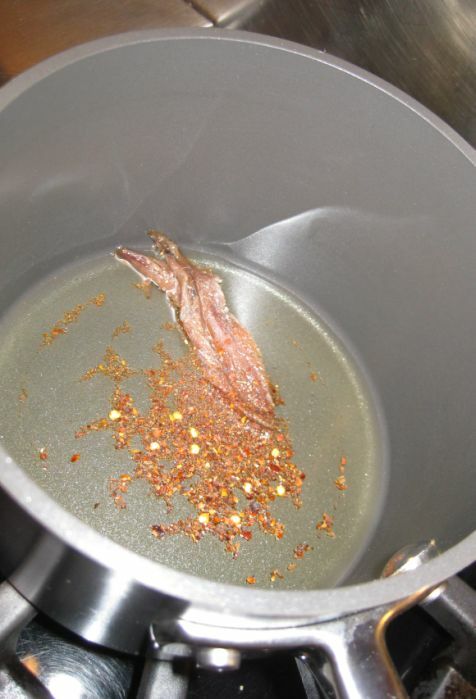 In a separate pot, add the olive oil, the anchovies, and the red pepper flakes and turn the heat to medium high. 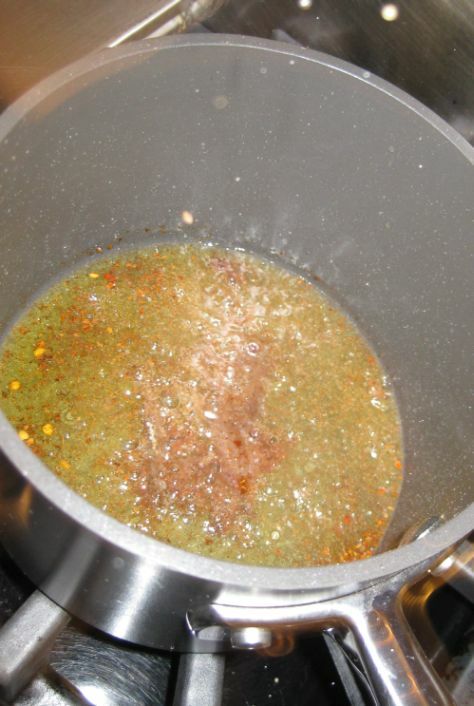 Heat the olive oil until the anchovies are dissolved and turned off the heat. 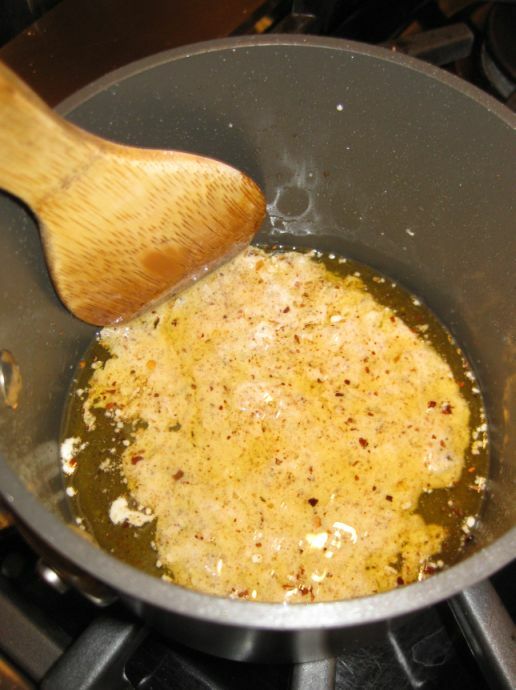 Pour the milk and garlic mixture in the oil/anchovies/ red pepper flakes. 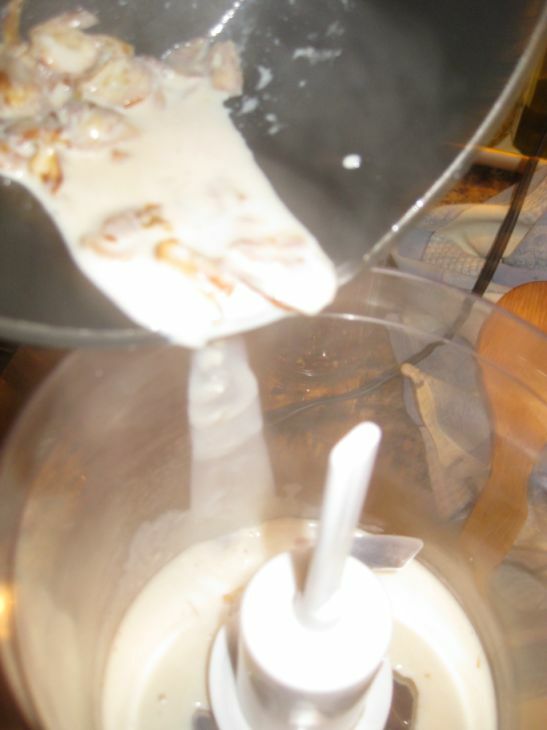 Mix well and it ready to be served. 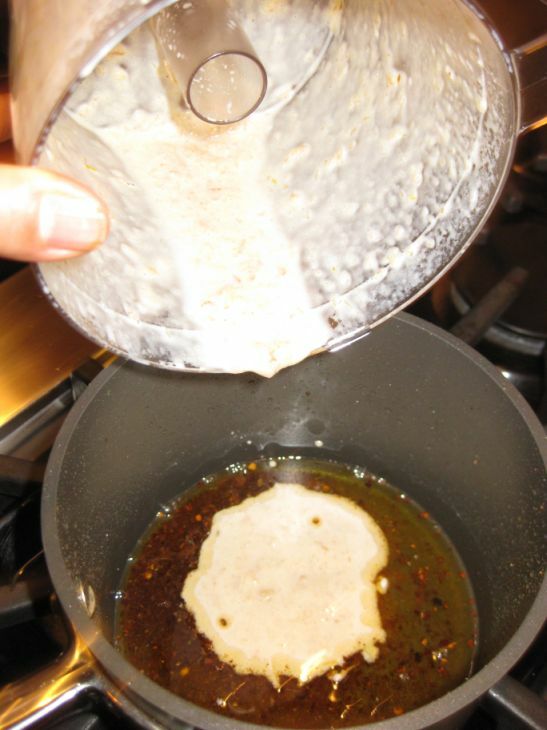 Anchovies are very salty so there is not need to add salt in the sauce. 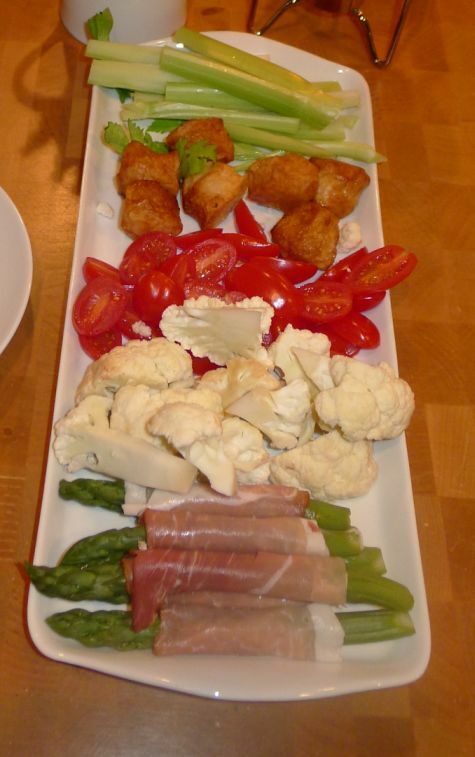 Cut your vegetables and put them of large plate. 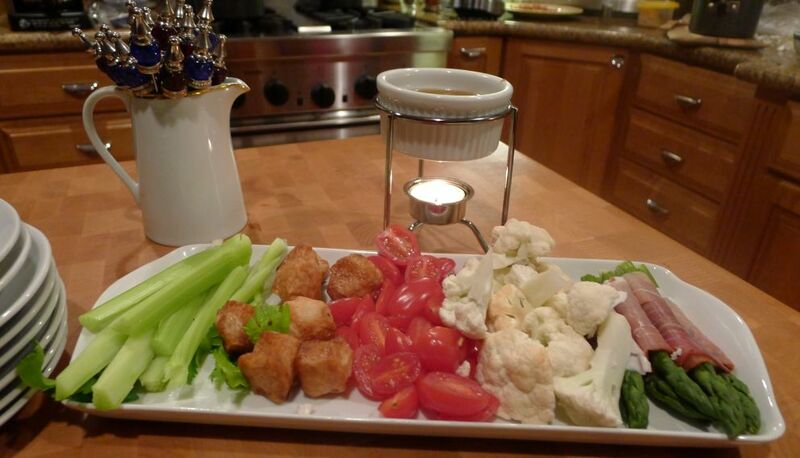 Put the Bagna Cauda in a ceramic bowl over a candle flame and serve.